Zooplankton is plankton that consists of tiny animals, such as rotifers, copepods, and krill, and of microorganisms once classified as animals, such as dinoflagellates and other protozoans. 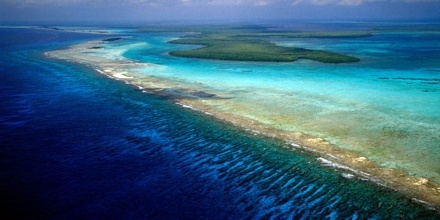 It is made up of hundreds of thousands of different species of animals. Some are baby or larval forms of the animals while others spend their whole life as free-floating organisms. The word “zooplankton” is derived from the Greek zoon (ζῴον), meaning “animal”, and planktos (πλαγκτός), meaning “wanderer” or “drifter”. Individual zooplankton are usually microscopic, but some (such as jellyfish) are larger and visible with the naked eye. 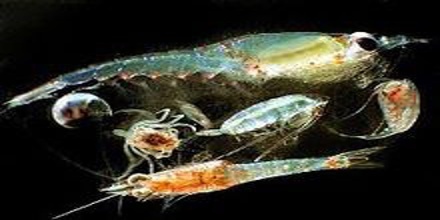 Zooplankton are one of the basic elements of the marine food web. One commonly known plankton is krill, which is eaten by whales. 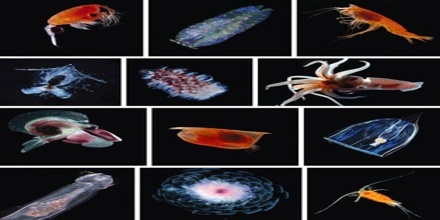 There are many different types of zooplankton that are distinct from one another. For example, meroplankton are only considered plankton during one phase of their lives. Meroplankton are larvae that grow into full-sized animals, such as fish, insects and mollosks. 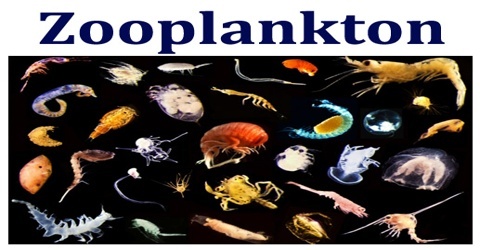 Holoplankton remains classified as plankton throughout all of their life stages and include larvaceans and copepods. Many animals, from single-celled Radiolaria to the eggs or larvae of herrings, crabs, and lobsters, are found among the zooplankton. Permanent plankton, or holoplankton, such as protozoa and copepods, spends their lives as plankton. Temporary plankton, or meroplankton, such as young starfish, clams, worms, and other bottom-dwelling animals, live and feed as plankton until they leave to become adults in their proper habitats. Zooplankton are classified by size and/or by developmental stage. Size categories include: picoplankton that measure less than 2 micrometers, nanoplankton measure between 2-20 micrometers, microplankton measure between 20-200 micrometers, mesoplankton measure between 0.2-20 millimeters, macroplankton measure between 20-200 millimeters, and the megaplankton, which measure over 200 millimeters (almost 8 inches). Many members of a zooplankton community begin their lives in estuaries where crabs, fishes, and a whole host of various invertebrates come to breed. The calm and relatively shallow waters of an estuary provide a safe place for eggs to survive and hatch. Upon hatching, the tiny larvae are too small to succumb to the effects of gravity in the water and so begin their journeys as floating animals. There are two categories used to classify zooplankton by their stage of development: meroplankton and holoplankton. Meroplankton are actually larvae that eventually change into worms, mollusks, crustaceans, coral, echinoderms, fishes, or insects. Holoplankton remains plankton for their entire life cycle and includes pteropodsexternal link, chaetognathsexternal link, larvaceansexternal link, siphonophoresexternal link, and copepodsexternal link. Zooplankton’s ecological role is comparable to a lighting director in a theatre production no one really notices their role, but if there is no light there is nothing to see. Zooplankton are increasingly being used as indicators for forecasting the abundance of fish and bird populations, and for tracking the impacts of climate change on ocean ecosystems. Ecologically important protozoan zooplankton groups include the foraminiferans, radiolarians and dinoflagellates. Important metazoan zooplankton include cnidarians such as jellyfish and the Portuguese Man o’ War; crustaceans such as copepods, ostracods, isopods, amphipods, mysids and krill; chaetognaths (arrow worms); molluscs such as pteropods; and chordates such as salps and juvenile fish. Zooplankton are very important to humans, because of their valuable protein and oils, worldwide demand for zooplankton are on the rise. Satisfying this demand, however, will come at the expense of all higher animals in the food web, including humans. The waterborne distribution of zooplankton helps its population survive harsh environmental conditions such as freezing, high heat, large storms, and other severe natural phenomena. Because riding the ocean currents distributes many species worldwide, only small portions of a population may be seriously affected by these conditions. Zooplankton can also act as a disease reservoir. Crustacean zooplanktons have been found to house the bacterium Vibrio cholerae, which causes cholera, by allowing the cholera vibrios to attach to their chitinous exoskeletons. This symbiotic relationship enhances the bacterium’s ability to survive in an aquatic environment, as the exoskeleton provides the bacterium with carbon and nitrogen.